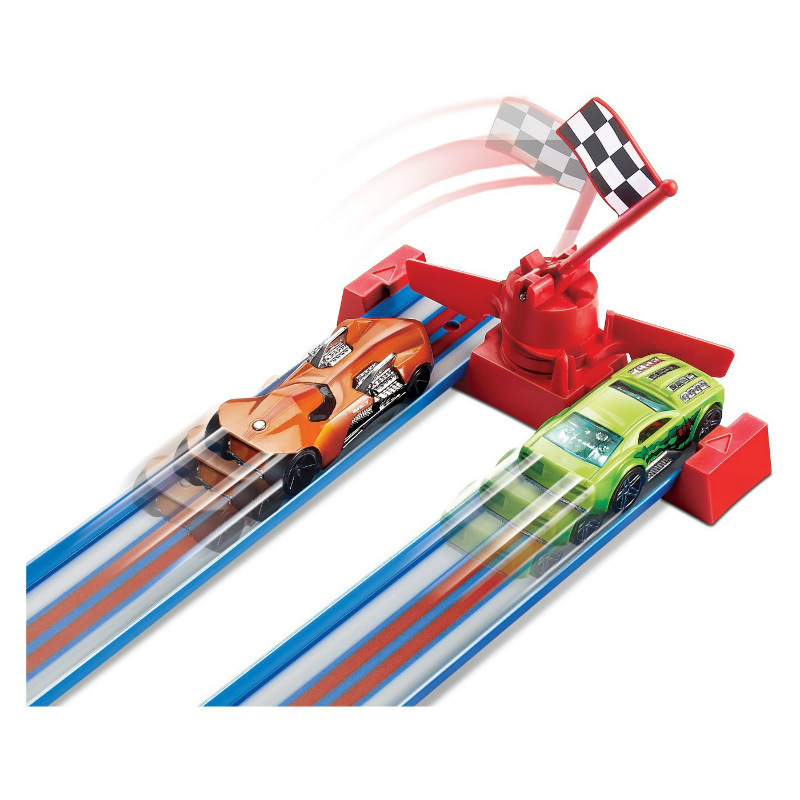 Hot Wheels Thrill Drivers Corkscrew Track Set with 2 Cars NEW! The original Hot Wheels Throwback Thrill Drivers Corkscrew track set from 1977 with retro-inspired packaging and the same unique corkscrew design that sends cars flying around the track at dizzying speeds! 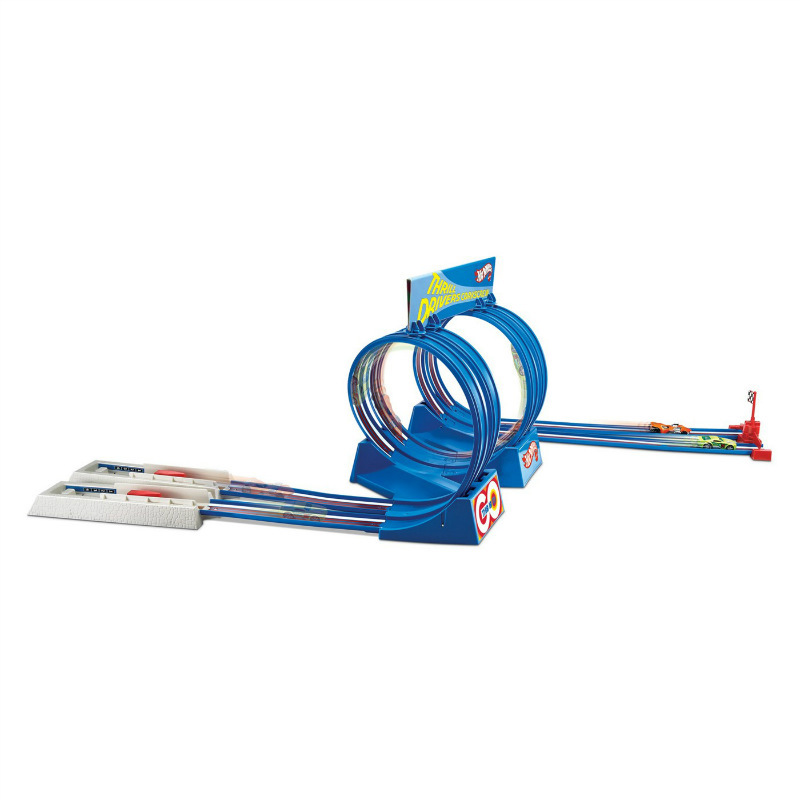 This amazing set with side-by-side racing and two double barrel corkscrew loops provides exciting Hot Wheels action as kids launch their cars and see who can handle the stunt and win the race. Great fun for one or two players! Comes with 2 Hot Wheels 1:64 scale cars. 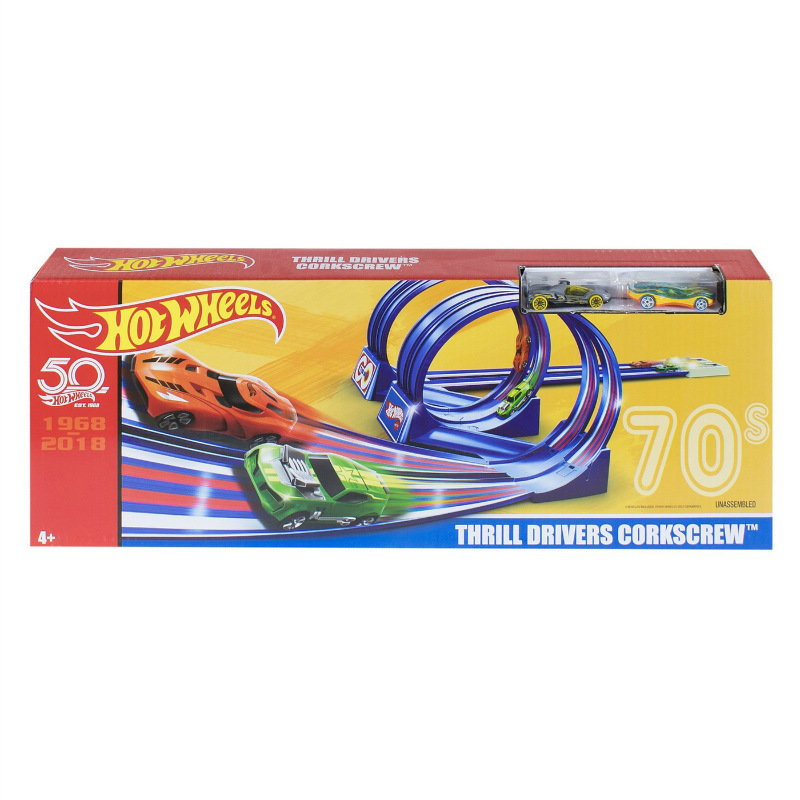 The classic Hot Wheels Thrill Drivers Corkscrew track set re-released in retro-inspired packaging! Challenging skill-based, action with side-by-side racing and double barrel corkscrew loops. Features 2 boosters and 2 Hot Wheels cars for blasting the loops at top speeds. Introduced in 1977 and still providing thrilling challenges and cool racing action! Exclusive throwback opportunity for collectors and Hot Wheels fans of all ages!